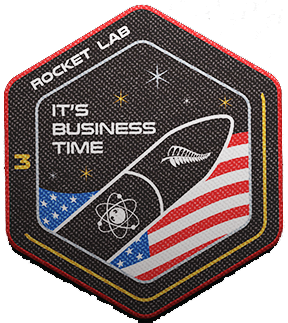 Rocket Lab has closed a Series E financing round of $140 million (USD) — the funding round closed last month, prior to the launch of the successful mission ‘It’s Business Time’ and was led by existing investor Future Fund, with strong participation from current investors including Greenspring Associates, Khosla Ventures, Bessemer Venture Partners, DCVC (Data Collective), Promus Ventures and K1W1. New investor ACC also contributed to the round. The Series E round close brings total Rocket Lab funding to date to more than $288 million, with the company now soaring past their previous $1 billion-plus (USD) valuation. 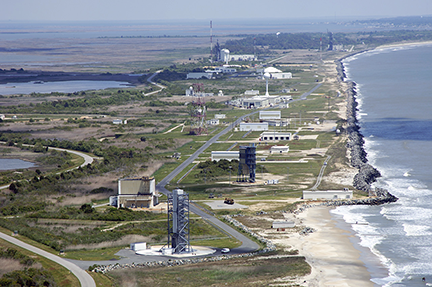 Photo of the NASA Wallops facility. The round also follows the opening of Rocket Lab’s new mass production facility for the Electron vehicle last month, as well as the announcement confirming the location of Rocket Lab’s second orbital launch site. Construction has now begun on Rocket Lab Launch Complex 2, which is based within the Mid-Atlantic Regional Spaceport at NASA Wallops Flight Facility in Virginia, USA. Launch Complex 2 can support monthly orbital launches from US soil, and is designed specifically to serve the responsive space needs of government customers. Between the two Rocket Lab launch complexes, the company can support as many as 130 orbital missions per year. Rocket Lab CEO and Founder, Peter Beck, said that this has been a big year for Rocket Lab, with two successful missions to orbit and another about to roll out to the pad; however, this is even more significant for the global small satellite industry that now has a fully commercial, dedicated ride to space. This funding also enables the continued aggressive scale-up of Electron production to support the company's targeted weekly flight rate and will also see us build additional launch pads and work started on three, major, new R&D programs. Sven Strohband, Partner and Chief Technology Officer (CTO), Khosla Ventures, noted that Rocket Lab is a truly remarkable company. The company was fortunate enough to follow Rocket Lab’s journey from their initial engine program to the first launch, the factory scale-up and now the start of commercial operations, all of which happened in record time. Khosla Ventures is proud to continue to support Peter and the amazing Rocket Lab team in their journey to open space for all and are excited about the next chapter. Matt Ocko, Managing Partner, DCVC (Data Collective), noted that the company was were privileged to lead Rocket Lab’s prior round and continues to be committed strongly to this superb team in this round and beyond. The firm saw proof of Rocket Lab’s transformative cost and frequency of launch just in the number of DCVC’s own next-gen ‘scale-out space’ companies enabled by Rocket Lab, let alone the hundreds more lined up for this disruptive orbital access capability. Sir Stephen Tindall, Founder, K1W1, said that the team at Rocket Lab has been inspirational and have now proven themselves to be the only operational, private, small launch provider globally. Their contribution to the New Zealand tech sector will continue to increase as they ramp up the launch frequency.